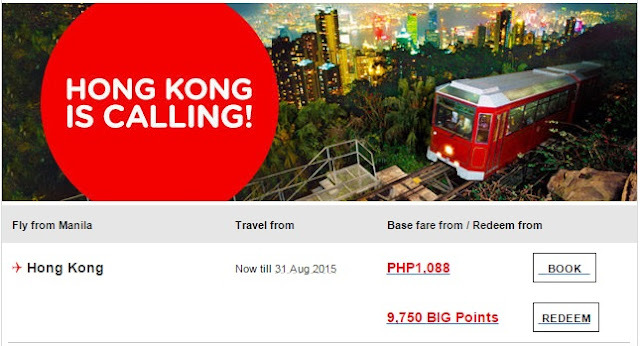 Air Asia Airlines: Grab Your Bag And Go Base fare from PHP288! 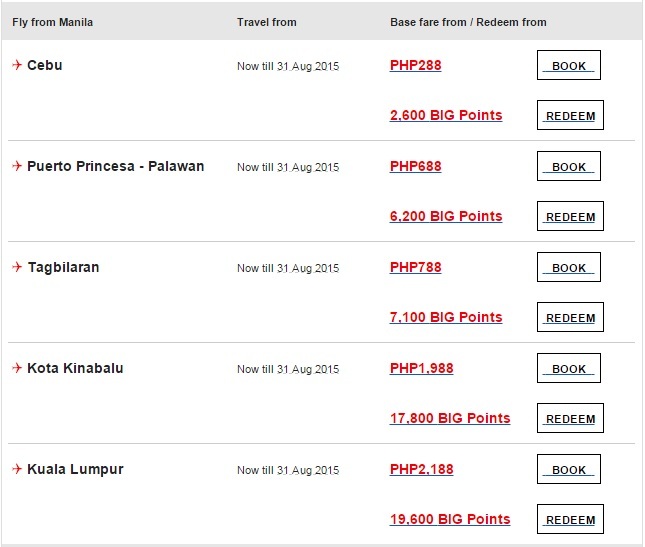 Fly from Manila to Cebu, Puerto Princesa - Palawan, Tagbilaran, Kota Kinabalu, Kaula Lumpur. Travel from Now till August 31, 2015. 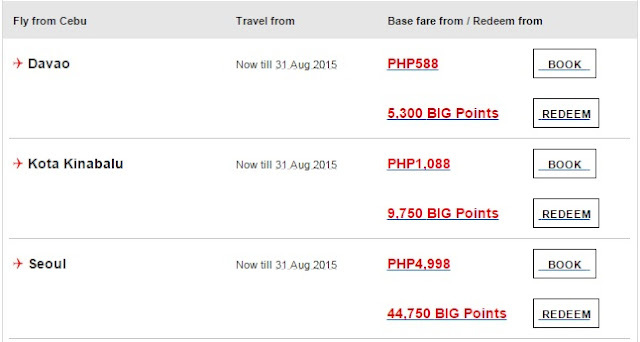 Base fare from Php288 to Php2,188. 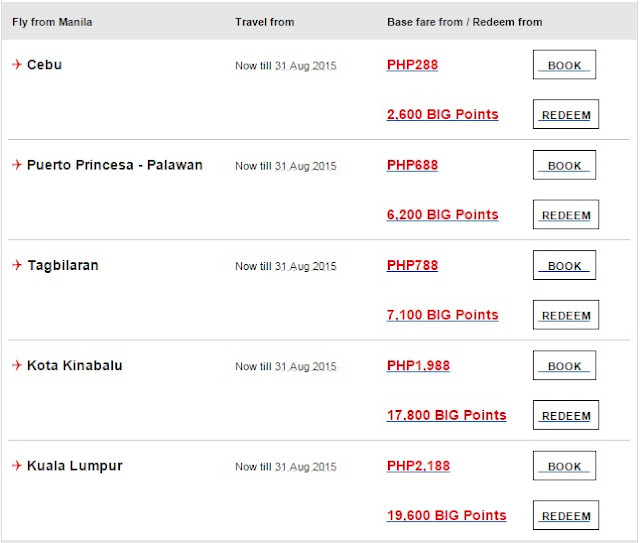 Fly from Cebu to Davao, Kota Kinabalu, and Seoul. Travel from Now till August 31, 2015. 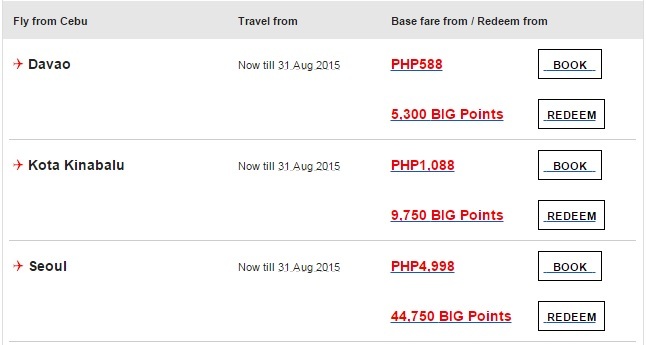 Base fare from Php588 to Php4,998. Hon Kong is Calling! Fly From Manila. Travel from Now till August 31, 2015. Base fare from Php1,088.